The smaller little brother of Quiccs x Devil Toys “TEQ” has a spot of cosplay to coincide with the hype of Star Wars “SOLO”. 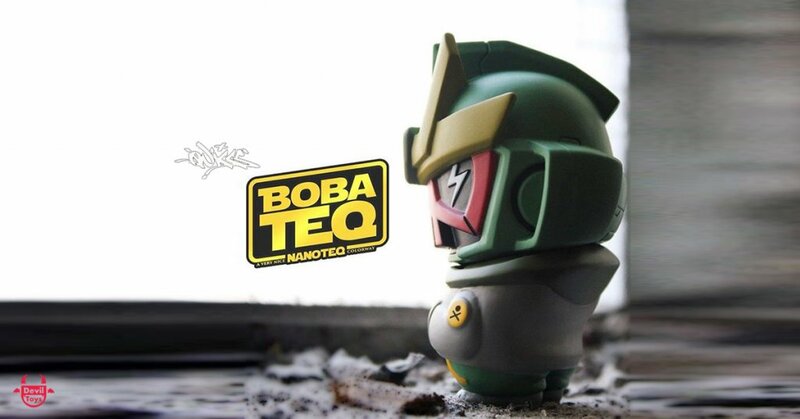 He may be small but still packs a punch as Quiccs presents to you his “Nano Boba TEQ”. News coming from U.S.A retailer Strangecat Toys will begin to take order TODAY! these little bad boys which we are sure they will be a hit for Quiccs collectors. Powered by Devil Toys these should have a good quality behind them, fingers crossed.